Yesterday the Holy See published the list of participants in the upcoming Synod of Bishops on the family. Of course, there are the usual suspects: the heads of the Roman Curia departments, the standing members of the Synod and the presidents of the world’s bishops’ conferences, with the latter being default participants in an Extraordinary General Synod, which this one is. Pope Francis has had a personal touch in the selection of several participants; noteable among those are Cardinal Kasper, to all appearances a theologian much appreciated by the Holy Father, but also the vast majority of cardinals he created in his first consistory of last February. A breakdown per country also shows Pope Francis’ fairly strong focus on both the southern half of the globe and the Middle East. When looking at the members personally appointed by the Pope, as well as the lay and professional participants and auditors, we see that, while 35 participants come from Europe (19 of whom are based in Rome or other parts of Italy), 15 participants come from Asia (5 of them from the Middle East), 12 from Central and South America, 9 from Africa, 4 from Oceania and 4 from North America. Add to those the bishops’ conference presidents and not least the fact that two of the three President Delegates come from outside Europe, and you get a distinct non-western picture. From a local point of view it is interesting to see that no less than four participants come from Belgium, while there is only a single one from the Netherlands and a mere two from Germany. 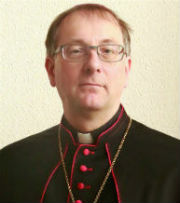 Belgium sends Archbishop André-Joseph Léonard,which was expected as he is the president of the Belgian bishops’ conference, but also his predecessor, Cardinal Godfried Danneels (pictured), as well as Father George Henri Ruyssen of the Pontifical Oriental Institute in Rome. Additionaly, Metropolitan Athenagoras, the head of the Russian Orthodox Church in Belgium, attends as a “fraternal delegate”. From the Netherlands comes the archbishop of Utrecht, Cardinal Wim Eijk, as the president of our bishops’ conference, and Germany sends Cardinal Reinhard Marx, not a stranger in Rome, and Berlin’s Professor Ute Eberl. And of course the list has been criticised, not least today by Fr. 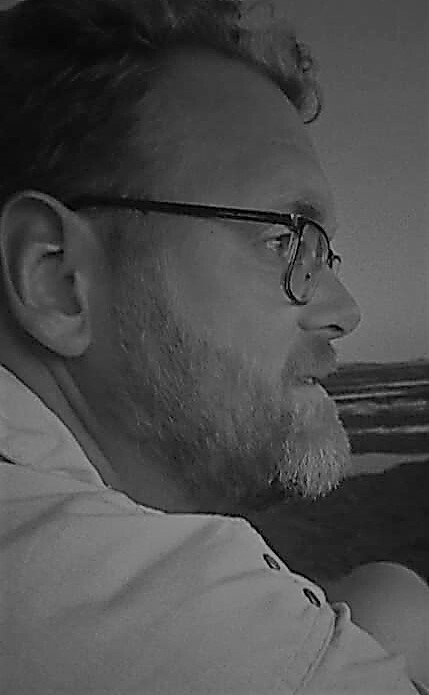 Thomas Reese. His argument that the presence of heads of the Curia is a bad thing, and an indication that Pope Francis’ intentions of overhauling and streamlining the workings of the Curia is doomed to fail, is plainly ludicrous. He argues that the prefects and presidents of the Curia are merely staff members and not policy makers, and should therefore be merely attending, not speaking or voting in the Synod, which is an extreme oversimplification. By that reasoning the presidents of the bishops’ conferences should not be there as participants either. The members of the Roman Curia are the closest collaborators of the Pope. They meet with him on a weekly basis and he is generally kept up to date on whatever is going on in the various department. But the Pope is one man, so the prefects and presidents not only have the leeway to make their own decisions, that is also their mandate. They are also not random clerics appointed on a whim, but experienced in their own field of work. They are far more than staff. Their experience, knowledge and mandate are enough to give them not only the right and duty to attend the Synod, but also to contribute and decide. Cricitism like that of Fr. Reese seems mostly motivated by a deeply ingrained fear and mistrust of the Curia, which has created an artifical opposition between individual faithful and the institutional Church. Anyway, the Synod is still a couple of weeks away. Let’s give it the chance it deserves and not let it die a quiet death once the delegates have returned home. 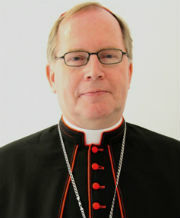 Péter Cardinal Erdö, Archbishop of Esztergom-Budapest, President of the Bishops’ Conference of Hungary, President of the Concilium Conferentiarum Episcoporum Europae (CCEE). Fr. Tony Anatrella, psycho-analist. Specialist in social psychiatry. Consultor to the Pontifical Councils for the Family and for Health Care Workers. France. Fr. 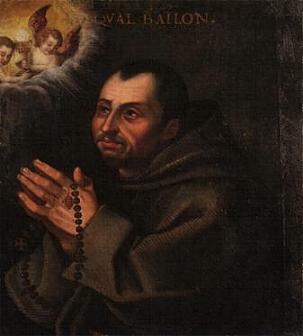 Gérard Berliet, professor of Sacred Scripture at the provincial seminary in Lyon. Head of pastoral care for divorced and remarried faithful in the Archdiocese of Lyon, France. Fr. Bruno Esposito, professor of Canon Law at the Pontifical University St. Thomas Aquinas, Rome. Fr. Alfonso Fernández Benito, professor of Moral Theology and the Sacrament of Marriage at the Hugher Institute of Theological Studies “San Ildefonso”, director of the Institute for Religious Sciences Santa Maria di Toledo, Spain. Fr. Arul Raj Gali, National Director of “Holy Cross Family Ministries in India”. Dr. Jeffrey Goh, professor of Systematic Theology at the archdiocesan seminary and judge of the Ecclesiastical Tribunal of Kuching, Malaysia. Fr. Maurizio Gronchi, professor of Dogmatic Theology at the Pontifical University Urbaniana in Rome, consultor for the Congregation for the Doctrine of the Faith. Dr. Rodrigo Guerra López, general director of the Centre for Advanced Social Research, Mexico. Dr. Jocelyne Khoueiry, member of the Episcopal Commission for the Family of the APECL, Lebanon. Dr. Helen Kyung Soo Kwon, member of the executive committee of the “Helen Kim Scholarship Foundation at Ewha Womans University”, South Korea. Fr. Sabatino Majorano, professor of Systemic Moral Theology at the Alphonsianum, Italy. Mr. Christopher Laurence Meney, director of the Center for life, marriage and family of the Archdiocese of Sydney, Australia. Professor Carmen Peña García, director of Especialista en Causas Matrimoniales, professor at the Faculty of Canon Law of the Comillas Pontifical University, Defender of the Bond and Promotor of Justice at the Metropolitan Court of Madrid, Spain. Fr. George Henri Ruyssen, professor at the Faculty of Oriental Canon Law of the Pontifical Oriental Institute in Rome. Belgium. Mr. Arturo and Mrs. Hermelinda As Zamberline, officials of the ‘Equipe Notre Dame” in Brazil. Mr. Riyadh Albeer Naoom Azzo and Mrs. Sanaa Namir Ibrahim Habeeb, witnessing of Christian family life in a Muslim environment, Iraq. Mr. León Botolo and Mrs. Marie Valentine Kisanga Sosawe, founders of Communauté Famille Chrétienne, Congo-Kinshasa. Professor Zelmira María Bottini de Rey, director of the Institute for Couples and Family of the Pontifical Catholic University of Argentina, president of the Latin-America Network of the Institute of the Family of the Catholic Universities, Argentina. Mr. Inácio Amândio Chaúque, educator of young couples, Mozambique. Mrs. Joan Clements, director of the executive committe of the World Organisation Ovulation Method Billings (WOOMB), Australia. Mr. Stephen and Mrs. Sandra Conway, regional officers for Africa of Retrouvailles, South Africa. Dr. Ute Eberl, responsible for pastoral care for marriage and family in the Archdiocese of Berlin, Germany. Dr. Jean Dieudonné Gatsinga and Mrs. Emerthe Gatsinga Tumuhayimpundu, repsonsible for young families of the Focolare movement in Rwanda, Burundi, Kenya and Uganda. Dr. Ilva Myriam Hoyos Castañeda, prosecutor delegate for the defense of the rights of children, youth and family, Colombia. Mr. Sélim and Mrs. Rita Khoury, leading the Office for Pastoral Care for Families of the Patriarchal Curia of Antioch of the Maronites, Lebanon. Mrs. María Lacalle Noriega, director of the Centre of the Study of the family (Inst. Investigaciones económicas y sociales Francisco de Vitoria), secretary general of the Sociedad Española de bioética y biojurídica, Spain. Fr. Cajetan Menezes, director of the Family Apostolate in Bombay, India. Mr. Giuseppe Petracca Ciavarella and Mrs. Lucia Miglionico, medical doctors, members of the National Council for Pastoral Care of Families, Italy. Sister Margaret Muldoon, Superior General of the Sisters of the Holy Family of Bordeaux, Ireland. Mr. Francisco Padilla, officer of the Couples for Christ Foundation for family and life movement, Philippines. Mr. Algirdas Petronis, vice president of the International Federation of Catholic Families, director of the Centre for the Family of the Archdiocese of Vilnius, Lithuania. Mr. Romano and Mrs. Mavis Pirola, directors of the Australian Catholic Marriage and Family Council. Mr Olivier and Mrs. Xristilla Roussy, responsible for the apostolic branch of Amour et Vérité, France. Mr. Steve and Mrs. Claudia Schultz, members of the International Catholic Engaged Encounter, United States of America. Mrs. Michèle Taupin, preident of the movement Espérance et Vie, France. Mrs. Jeannette Touré, National president of the Association of Catholic Women in Côte d’Ivoire. Archbishop Athenagoras, Metropolitan of Belgium. Ecumenic patriarchate. Archbishop Hilarion, President of Department of External Church Relations of the Patriarchate of Moscow. Metropolitan Bishoy, Metropolitan of Damietta, Kafr Elsheikh and Elbarari, Egypt. Coptic Orthodox Church. Mar Yostinos, Archbishop of Zhale and Bekau, Lebanon. Syriac Orthodox Patriarchate of Antioch. Bishop Paul Butler, Bishop of Durham, England. Anglican Communion. Dr. Ndanganeni Petrus Phaswaha, Bishop-President of the Evangelical Lutheran Church in South Africa. World Lutheran Federation. Dr. Benebo Fubara-Manuel, President of the Nigeria Communion of Reformed Churches. World Communion of Reformed Churches. Dr. Valérie Duval-Poujol, professor of Biblical Exegesis at the Catholic Institute of Paris, France. World Baptist Alliance.